James Adinolfi agrees to repay complaining customers in deal that will clear his record if he stays out of trouble for a year. RUMFORD — As part of a deal discussed Wednesday between a prosecutor and James F. Adinolfi of Rumford, three customers who complained they were cheated after trying to rent overnight rooms at the Hotel Harris would be reimbursed. Adinolfi, 29, is eyeing an agreement that would have him plead guilty to theft by unfair business practices and agree to pay a total of $460 to the trio of unhappy, would-be hotel guests. As long as Adinolfi repays the money and stays out of trouble, the conviction would be cleared from his record in a year, according to his lawyer, Jim Howaniec of Lewiston. Adinolfi, a Connecticut native who has no prior criminal record, said the guests “will be refunded” so he can clear his record. The criminal summons by Rumford police came a day after a January Sun Journal story detailed complaints by would-be guests who called Adinolfi’s operations in the historical building a scam and questioned why authorities allowed him to operate. 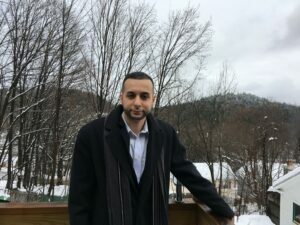 Adinolifi has repeatedly said he hopes to boost tourism in Rumford, a place he insisted is an undiscovered gem. He still has Airbnb properties in the town. An initial version of this story online mistakenly said Adinolfi had already pleaded guilty. Howaniec said he is likely to do so, but the case was continued while details are worked out. Rumford Falls Times Staff Writer Marianne Hutchinson contributed to this report.